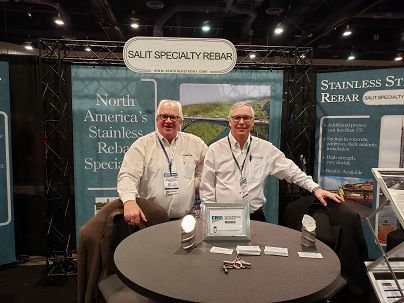 Salit Specialty Rebar is a leading supplier of cut and pre-assembled stainless steel rebar and mesh. With a number of excellent stainless steel rebar types to choose from, which one is most suitable to your application? Involve the SSR Team in your project as early as possible for the latest information and advice about specifying stainless steel rebar and mesh. In the preliminary engineering stage of your project, Contact Us to discuss the relative technical and engineering design features of the various types of stainless steel rebar. Our technical staff can assist you in the selection of the most effective type given the characteristics of the service environment of your structure. Copyright © 2017 Salit Specialty Rebar. All Rights Reserved.